This large commission was designed for 2 GP practices (serving 23,000 patients combined) and to bring together to one central location the (then) Primary Care Trust Services housed in various buildings around Shrewsbury. The 2 practices wished to retain their “public” identities but wanted shared working where possible in order to maximise the use of the space allowed. Therefore the design was created around 2 main “wings” housing clinical services being held together by a central 3 storey top lit atrium linking the waiting zones and shared facilities. 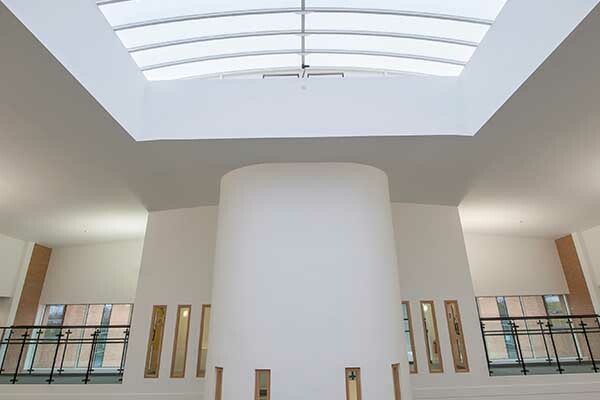 The large translucent rooflight floods this area with light and the atrium allows visual connection to all areas of the building and to the outside. The GP’s were located at first and second floor levels with the fragmented PCT departments allocated the ground floor. Unfortunately with the demise of the PCT’s this area was never occupied and the area was retained as future expansion space. 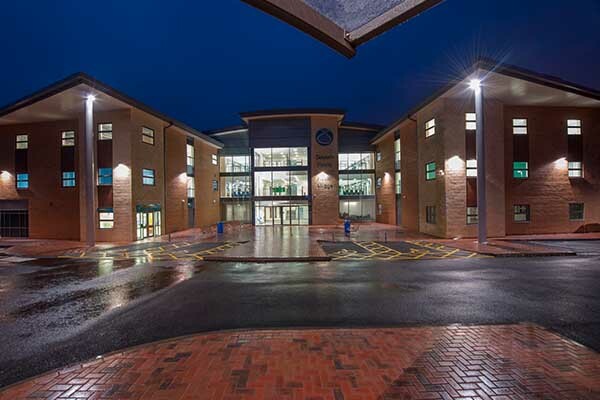 It is now (2015) being fitted out to house central services for the Shrewsbury Mental Health Trust who will occupy the space early in 2016.